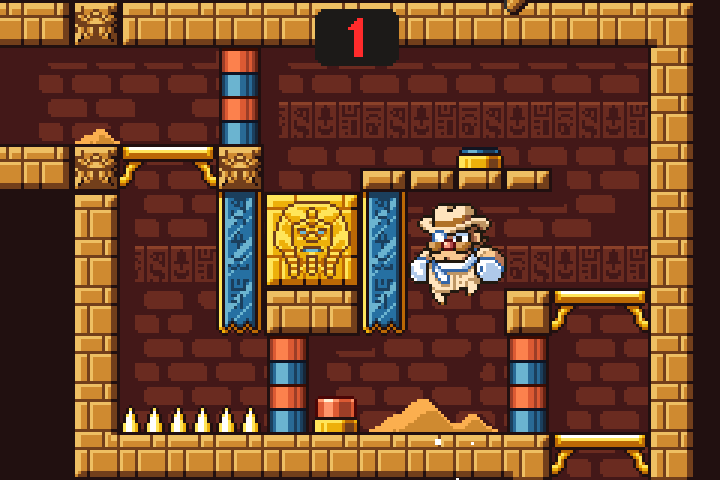 My first commercial mobile game Duke Dashington was released in 2014, now Duke returns with his original adventure completely rebuild from scratch! 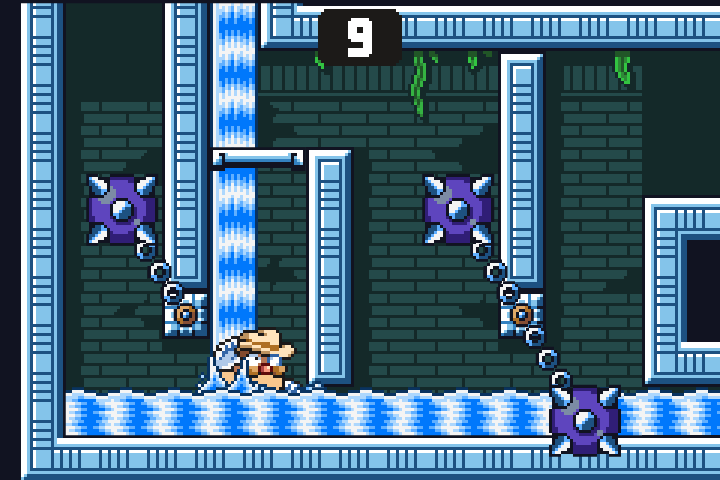 Controls have been improved, level design is more polished and graphics have been completely redrawn. 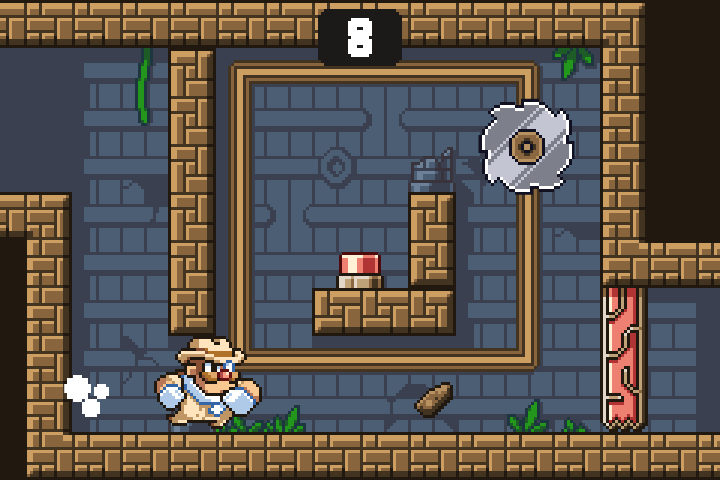 Dash through collapsing dungeons to save the treasures and escape each room in 10 seconds! Challenge friends for fastest Time Trial clear times! - 4 different dungeons to explore! - 120 rooms of deadly traps and mind-boggling puzzles! - Game Center achievements and leaderboards for fastest clear times! 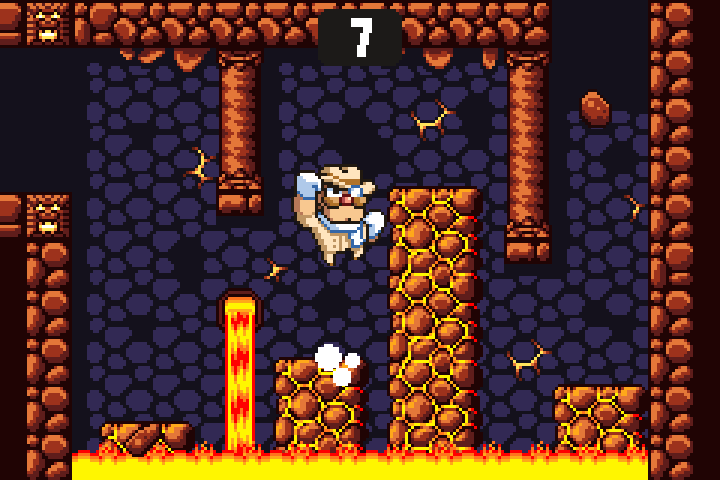 Like my previous games Super Dangerous Dungeons and Heart Star, Duke Dashington Remastered will be free with ads, but will have IAP to remove all advertising. The graphics are stunning! I hope your game does well! Loved the original! This remaster looks great! Will there be an android release? This is top tier indie game dev. Beautiful work! The game is monetized by ads, but there is an IAP to remove them forever. As a bonus, buying the IAP also unlocks optional golden suit for Duke that can be toggled on and off from settings menu. Thank you for playing! Great job!!! How long did remaking this game take you? Around 3 months. Because it's a remake, having most of the level design already figured out sped up the development a lot. Everything's been programmed from scratch though, and all art has been redrawn, so there was still quite a lot of work to do. Amazing! Keep up the good work! I have published the flash version to my dedicated online games portal yet due to it's fixed resolution with a width over 850px it cuts a bit from the right side of the screen. Normally I use a maximum width of 720px for the published games but in order to have this one work, I had to add some html code to extend the view area a bit? May I ask why didn't you make it scale to fit the "screen" ? Hey folks! New update is out that adds a brand new Crystal Cavern dungeon and support for iPhone X display!